Instagram has added a new feature to their most recent update. 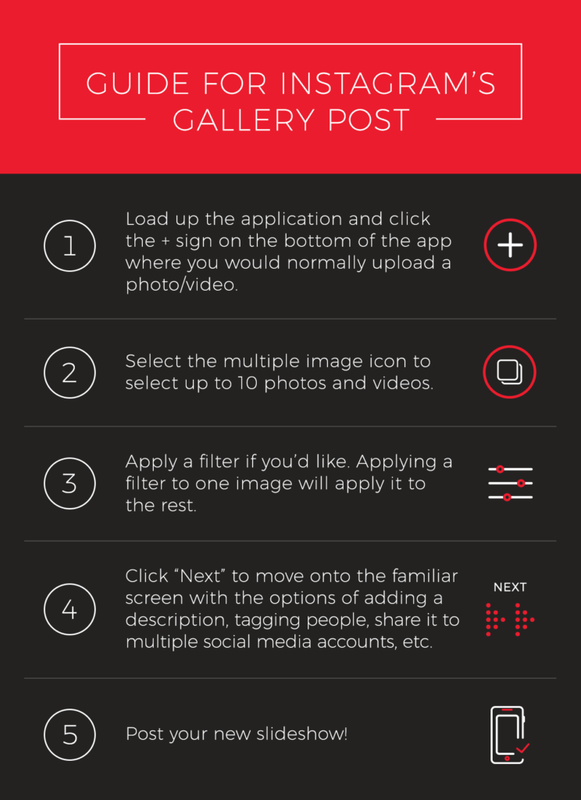 The progressive addition to the app is a gallery type of post in the form of a slideshow carousel. Followers can now swipe/click through the post to view up to 10 photos or videos in the gallery. This brings in a huge increase in UX. Users of the app have been attempting to combine multiple photos into one post for years, as an attempt not to clutter anyone’s feed with photos from the same memory and event. These type of posts would often force the user to awkwardly crop out subjects, spend too much time on arranging photos, and would also have to download a third party app just to do it. Of course Instagram’s Layout app has a time and a place when it comes to being useful, but for the majority of users that have been using it, this update will be helpful by a landslide.